On school days my mother would wake me, sometimes with a splash of ice water if I was slow, and get me ready for school, but on Sunday my father took the duty. I was to become a Methodist, unlike my brother and sister who attended Presbyterian services with my Mother. To curry my favor, he would read the funny papers to me before Sunday school. At age four or five my favorite comic strip was Donald Duck, but my father preferred Bringing Up Father, also know as Jiggs. I did not care for Jiggs, he had a strange nose, no neck, and wore a strange hat. My father and I would walk the six blocks to the church where he would deposit me in the kindergarten room and go off to the men's Bible class. In the kindergarten there were wooden toys to play with until Miss Nanny Perkins rang a bell and we all took seats in undersized chairs arranged in a semi-circle around her. She showed us colored pictures and told stories about Jesus, which I confused with Jiggs. I wondered why Donald was not in the equation. Donald was getting short shrifted both at home and at church. 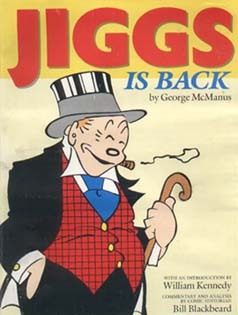 Eventually it dawned on me that Jesus and Jiggs were different characters, but neither made an impression on my mind as an archetype. Miss Nanny, bless her heart, was attempting to instill the persona of Jesus in my young unconscious mind, but Donald Duck was already ensconced. I was accidentally inoculated against Christianity, by two well meaning Christians. Last night, just as I was dozing off, Victoria began a conversation on the character of Achilles. I did not contribute much as Hypnos had already cast his net over my mind, but when Eos spread her rosy fingers I began to ponder why certain manifestations of mythos appeal to some individuals but not to others. Why do Achilles and Odysseus interest me, but not Jesus. Why do I have a bust of Athena in the living room but no images of Mother Mary? For example, a few years ago I was thinking about Achilles and the death of Patroclus. The depth of Achilles lament for his friend is very touching and as powerful as anything Shakespeare wrote, Zeus was so touched he sent Athena to fortify Achilles with nectar and ambrosia. Then Briseis sees Patroclus's body and begins to weep. Why was she weeping over Patroclus? From the text I could find no reason so I emailed Stanly Lombardo, the famous translator of Iliad. He responded in detail, pointing out that Patroclus had consoled her in grief and compared it to the scene of Andromache and Hector, where also we get a glimpse of the human heart beneath the hard shining armor. Achilles is far from a sympathetic character, yet I am touched by his lament for his beloved friend, and now I have a new empathy for Briseis. No longer a trophy but a living, breathing, human. Perhaps more real, or at least more interesting, to me than the folks I meet on the street. 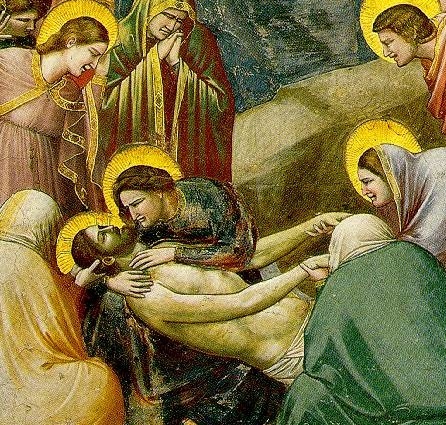 On the other hand when I view Giotto's "Lament over the Body of Christ" I am unmoved and have more interest in the artist's juxtaposition of the heads of Mary and Jesus and arrangement of the figures in the painting. Kenneth Clark in the Civilisation series was moved by the cross of Lothar, "To me the cross is one of the most moving objects to have come down to us from the distant past." In his autobiography, he was allowed to move the object from its case to be photographed and when he did he said tears began to stream down his face. 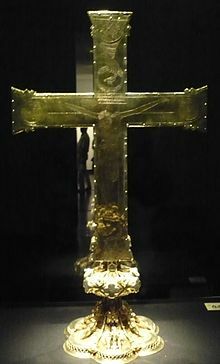 I visited the museum at the the Cathedral of Aachen and saw the cross, but no tears came to my eyes. However, Byzantine or Russian Orthodox iconography such is the one below do elicit an aesthetic response, but they do not tug at my heart strings. These figures have meaning, power, and authenticity even as reproductions. “Troitsa" is the Russian name for the original icon by St. Andrei Rublev (1370 - 1430). Rublev was an Orthodox monk who lived in St. Sergius Monastery, Moscow. Rublev’s icon became the prototype for future Holy Trinity icons. The original prototype, badly faded, is housed in the Tretyakov Museum, Moscow. It was painted in egg-tempera and is 56" high by 45" wide. The Old Testament story tells of the recognition and veneration by Abraham of three handsome young men, or three angels, arriving at the home of Abraham and Sarah. Abraham falls down on his knees, recognizing the holy ones and addresses just one of the men/angels. These three respond sometimes in the singular, when "He" responds for all three and sometimes in the plural, when "they" respond as one. 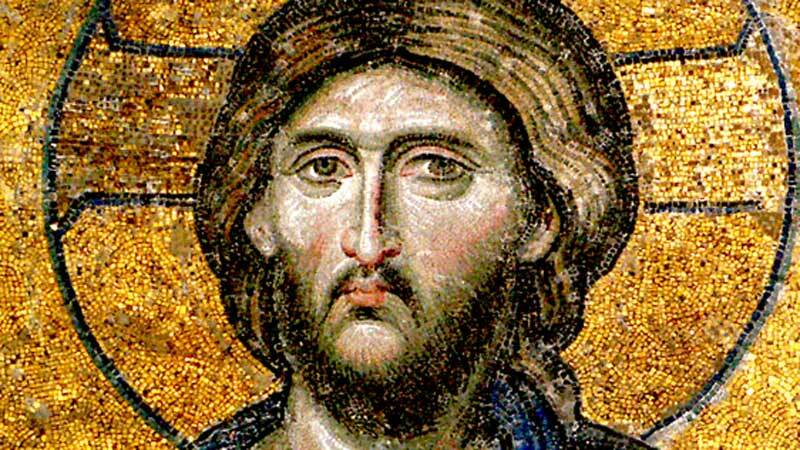 On the other hand, if I have been introduced in kindergarten to an image of a Byzantine Jesus instead of a Methodist Jesus what would have been the outcome? I think the Byzantine Jesus would have knocked Donald Duck off the pedestal. The Byzantine mosaic of Jesus (below) I find convincing. 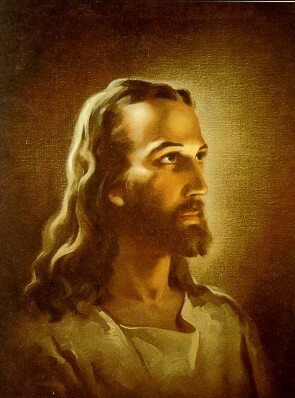 Warner Salman's insipid image of Jesus (above) has sold over 500 million copies. Viewer interpretations of relevant icons involve two concepts of value: aesthetics and taste. Aesthetics is a philosophical notion of creation and appreciation beauty. Taste is a result of an educational process and awareness of values learned through exposure to a hierarchy of art. Levels of exposure to complex art vary by class, cultural background, education, and individual aptitude. That said, the question remains : why does art effect individuals in so many different ways? Is IQ an indicator? Do the more intelligent prefer more complex art forms? In some studies a preference for rap music is significantly negatively correlated with intelligence. Also, preference for gospel music is even more strongly negatively correlated. It would be difficult to make the case that gospel is less cognitively complex than rap. Moreover, preference for opera, a cognitively complex form of music, is not significantly correlated with intelligence. Yesterday I seemed to be going nowhere in this investigation, then Victoria and took our afternoon stroll with the yellow cat. Of course, cats don't walk with you like dogs, but trail behind or run ahead and find a spot to pose. And pose he did : as we passed a break of Japanese bamboo there was the cat staring out at us. Victoria looked at him and said, "Well hello, Mr. 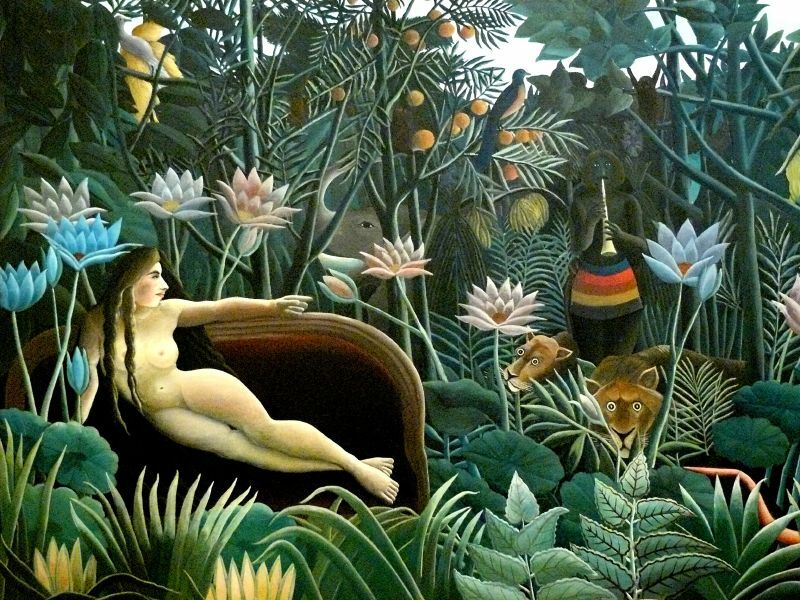 Rousseau." I knew exactly what she had in mind. Why did we both have the same mental image when we saw the cat staring out of the bamboo? Or stated another way, why does one icon have authenticity while another does not? Why does Wagner's Ring fit my finger while Tolkien's Ring does not? Tolkien, I understand, refused to admit that his ring had anything to do with Wagner’s, but the idea of the all powerful ring must have come from Wagner as nothing quite like it appears in the old sagas. The Volsunga Saga features a ring from a cursed hoard, but it possesses no pervasive powers. In the Nibelungenlied saga, there is a magic rod, but it plays a very minor role. Wagner combined these two objects into the ring forged by Alberich from the gold of the Rhine Maidens. When Wotan steals the ring, Alberich places a curse upon it and pronounces "the lord of the ring as the slave of the ring." Tolkien’s disavowal is hard to believe. The idea of a Ring of Power probably was rooted in the late nineteenth century, when the means of mass destruction were discovered. Neither Greek nor medieval storytellers had such a frame of reference. But by Wagner’s time warfare was becoming much more destructive. Men were forging things over which they had little control, and which ended up controlling them. Tolkien began "Lord of the Rings" after the carnage of the First World War, that he experienced first hand, and he finished it in the wake of the Second. He saw how the Nazis had corrupted the Teutonic spirit and Tolkien wanted to created a kinder, gentler English Ring cycle, a Christian mythology, with the world redeemed by hobbits, little people, who wish simply to resume their gardening. Tolkien believes in the forces of good, in might for right. The elves give up their dominion, just as Wagner's gods surrender theirs, and the story ends not with the fiery end of Valhalla but with the restoration of a destroyed world. Might for right seems a reflection of American foreign policy. For Tolkien, myth is a window on an ideal Christian world, both brighter and blacker than our own. For Wagner, it is a mirror for the doomed modern soul, perhaps redeemed by love. There is a popular conception of Wagner’s cycle as a nationalistic propaganda piece in which blond heroes defeat dark dwarfish ugly enemies. This is not the case. The chief god Wotan senses his waning power at the beginning of the cycle and attempts to protect his realm, his family, with an impregnable fort. But every step he takes to control the situation leads inexorably to his downfall. He is doomed from the outset, and the ring is a symbol of the failure of his authority and waning power. When Tolkien took Wagner’s ring, he discarded an important aspect of the ring: that it can be forged only by one who has forsworn love. Tolkien mutes the romance of medieval stories and puts us out in modern world, a never ending nightmare where characters are drawn to the ring for no discernible reason. Nobody gets satisfaction, even Sauron’s bling-bling life style on top of Barad-dûr does not seem satisfying. On the other hand, Wagner uses the ring to shed light on various human emotions. Alberich forges the ring after the Rhine maidens refuse his advances and make him look foolish. Wotan uses the ring to fill the void of a loveless marriage. Siegfried and Brünnhilde remake the ring as a symbol of their love and devotion. Moreover, Siegmund and Sieglinde fled Hunding's hall and enter a mountain pass, where Sieglinde faints from exhaustion. Brünnhilde approaches Siegmund and tells him of his impending death. Siegmund refuses to follow Brünnhilde to Valhalla when she tells him Sieglinde cannot accompany him there. Siegmund dismisses Brünnhilde's warning. Siegmund draws his sword and threatens to kill both Sieglinde and himself. Moved by his love for Sieglinde, she relents and agrees to grant victory to Siegmund instead of Hunding. Once again Wagner shows love as the redeemer. The apparatus of myth itself—the belief in higher and lower powers, hierarchies, orders—crumbles with the walls of Valhalla. Wagner wrote a mythic opera cycle and then destroyed the foundations of myth itself. Tolkien wanted a Christian happy ending : sins forgiven, the world renewed and redeemed. After the defeat of evil, citizen soldiers go home and plant a garden. For an icon or a work of art to be authentic it must accurately and truly reflect the reality of the human condition of its time. End Note : I arrived early for the Sunday service of the Men's Bible Class at the Methodist church (the same one) and sat on the front row with another man who shared my habit of early arrival. He had been a tail gunner on a bomber in WWII and was a real gentlemen. We talked some, but mostly he gazed at the Warner Salman's, Christ at Heart's Door, hanging on the wall directly in front of us. One morning he said, "With my hearing I don't get much of what the teacher says, but I get a lot from looking at this picture." I would never ever argue with that.